Can be Straightened and Curled. See supplied instructions. Our Full Head Sets will make thin hair thicker and short hair longer. No professional help is required all with no damage to your own hair. Japanese Futura Kanekalon looks and feels like human hair, silky and soft. Will remain poker straight even if you get caught in the rain. Will remain curled until straightened again. Non slip secure clips. Clips are already attached. Clips are already attached. Washable and reusable. Cannot be dyed. Excellent value for money. Easy maintenance for today's hectic life. Same day dispatch if ordered before 2pm. Free Colour Exchanges. Are you having bad hair day, have thin hair or short hair? 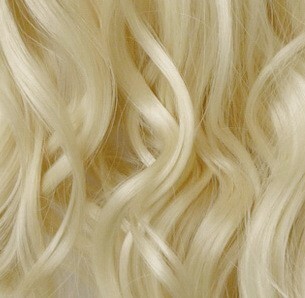 Our clip in hair extensions will give you an instant long lush, thick glamorous look all in less than 5 minutes! 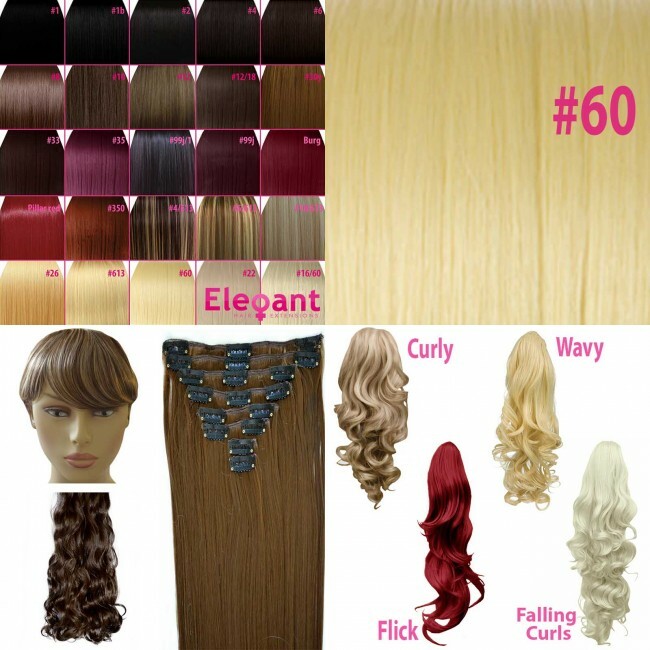 Elegant Hair Full Head Clip in Hair extension set includes a total of 8 pieces with clips attached, ready wear. 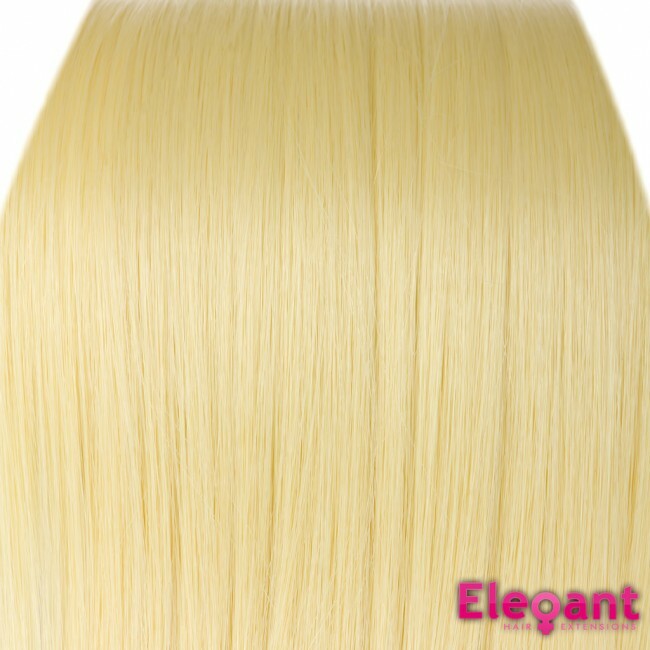 Extensions made of 100% kanekalon fiber that can be styled at 160C. Our clip in hair extensions will give you an instant long lush thick glamorous look in less than 5 minutes will make thin hair thicker and short hair longer. Our Full Head Sets will make thin hair thicker and short hair longer. No professional help is required all with no damage to your own hair. Will remain poker straight even if you get caught in the rain.